P2P stands for Procure to Pay. It’s a business process which involves the fulfillment of goods, items, resources etc in an organization inventory to keep business running smoothly and it ends with payment followed by reconciliation. Lets us consider an Inventory Organization where actually the items or the goods are placed. For any organization the Inventory Org can be located at different places. Each Inventory Org located at various locations has a Store In-charge whose job is to have a note on the Items in his Store and raise a demand for an item whenever needed in other terms he raises a Indent on the items for his store. Doing so manually becomes difficult so this can be done using some Planning method one of the planning method is “MIN-MAX PLANNING”. 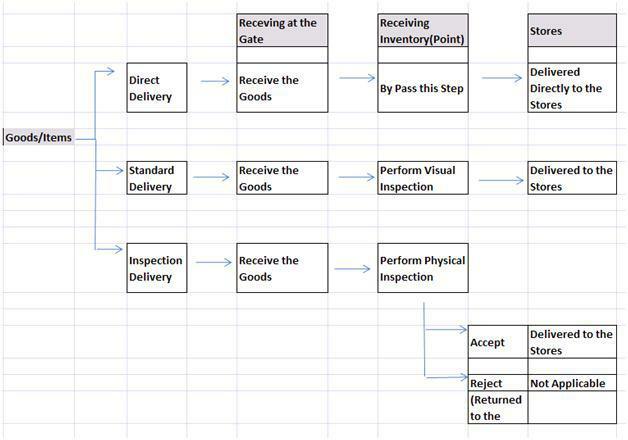 Using the MIN-MAX PLANNING he generate a report with the requirements of those items whose On-Hand quantity is minimum. The Requirement report is then transferred to the Requisition Interface Table to be sent to the next department say the Purchase Department. To avoid or not to disturb the work of the two departments the Indent requirement is first stored in the Interface table. Now the Purchase Department runs a program “Requisition Import Program”. The Requisition Import Program picks up all the records that are available in the Requisition Interface Table and creates the Requisition. Indent is a Term where in we have the details of the Goods/Items that are required where as Requisition is the term where the details of the goods or items are been recorded along with their estimated price quote. Internal Requisitions are created if the Items are to be imported from one Inventory location to another location in the same organization. Here the source of the requisition would be INVENTORY. There is no approval process for internal requisition. Purchase Requisitions are created if the goods are to be imported from external suppliers. Here the source of the requisition would be SUPPLIERS. The purchase requisition are been sent for approvals. Why we need requisition approval? Requisition approval is required to restrict the requisition that has been raised. In EMP/SUPERVISOR Hierarchy, based on the requisition amount that is raised the requisition travels the hierarchy and reached the appropriate person who has the authority to approve or reject the requisition. Supervisor 1 is the manager of Emp 1 who has the authority for approval when the requisition amount is 10000 or less, if it’s above 10000 and less than 30000 then Supervisor 2 would approve who is the manager of Supervisor 1 else Supervisor 3 would be approving this is how the approval of pass in the hierarchy from one Supervisor to another and finally gets rejected. 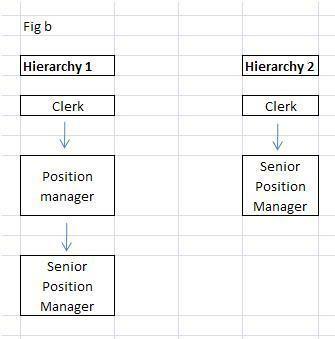 To avoid the confusion between the two approval methods(POSITION Hierarchy and EMP/SUPERVISOR Hierarchy) ,So in case of POSITION Hierarchy there might be many hierarchies which can be named at one time which is not possible in case of EMP/SUPERVISOR Hierarchy where only one hierarchy is allowed at one time. 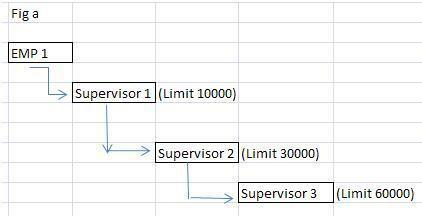 Again based on the limitation at every stage the requisition moves from Position Manager if he is authorized to approve a certain amount to Senior Position Manager in case of Position Hierarchy -Hierarchy Method. Where as in case of Position Hierarchy -Direct Method the requisition moves directly to the Senior Position Manager who has the authority to approve as we have defined and structured a hierarchy. Moving ahead once the Requisition is approved the next stage is inviting the Supplier. Suppliers can be invited by raising a RFQ (Request for Quotation). For the required items and the goods we request the Supplier to send us there Quotation and according the best Quotation is been selected and approved. For all the RFQ that are been sent by the various suppliers we perform Quotation Analysis to choose the best Quotation based on various factors like Price, Accessibility etc and then Approve the Quotation. The price that is been quoted in the quotation are been considers for further transaction for a period of time. Once the Quotations are approved a purchase order is created and sent to the supplier. Person who is defined as a Buyer is the one who creates a Purchase Order and Purchase order is sent to those Suppliers that are defined in the TCA (Trading Community Architecture). Going ahead for each Shipment we have a receipt routing associated. 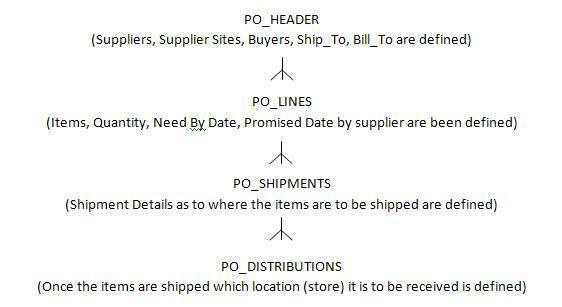 Receipt routing is a process that is used for Inspection by the receiving dept. Once the goods are received at the stores these are then used for the Manufacturing in the organization or it is moved to the specific department further that may sell the goods or consume it. For the goods that we have received there is an invoice that is been sent by the supplier. Now the invoice that is sent is been approved by the department that has raised the Purchase order(PO). The approval is done by using matching methods. Note: Accrual Account is a Liability which is not invoiced, where we are not liable to pay at this stage. NOTE: Invoice Price Variance is accounted when there is a difference in the Invoice sent and the goods actually received by the Purchasing Department. This concludes the complete process of Procure To Pay Cycle.